Buy Frenchie | Aroha Knits a Coffee. ko-fi.com/arohaknits - Ko-fi ❤️ Where creators get paid by fans, with a 'Buy Me a Coffee' button. Kia Ora! 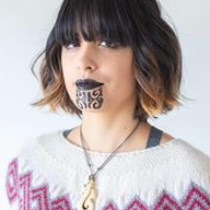 I'm Frenchie, a queer Maori artist. I aim to empower and inspire fibre artists to transform their yarn to manifest more Aroha into their lives. Secured Payments. Support goes to Frenchie | Aroha Knits's account. Upgrade Frenchie | Aroha Knits to a yearly Gold Membership with a one-time payment.